The United States official gold reserves are owned by the US Government and held in the name of the US Treasury, but in the custody of the US Mint, which is a branch of the US Treasury. The US Treasury has, since 1973, valued its gold reserves at a statutory price of $42.2222 per ounce. At this book value, the Treasury’s claimed gold reserves are valued at approximately $11 billion. At a market value, the claimed US gold reserves would be worth about $350 billion. In 2011, gold bar weight lists for all US gold reserves were published as part of a US House of Representatives committee hearing into oversight of the US gold holdings. However, nothing in the list is verifiable since the US gold holdings have never been independently physically audited. The US Treasury claims to hold 95% of its gold at the US Mint facilities in Fort Knox, West Point and Denver. Two of these facilities, Fort Knox and West Point, are adjacent US military facilities. The US Mint in Denver is not. It’s located on a city block. The audit history of the US Treasury’s gold holdings since the 1970s is an opaque subject and difficult to decipher. The US Treasury and US Mint are not transparent on the topic and appear to have lost many of the historic audit reports. The US possesses the largest reported monetary gold reserves in the world at 8,133.5 tonnes. These reserves are owned by the US Treasury and are predominantly stored in the custody of the US Mint and to a small extent in the custody of the New York Federal Reserve. All US gold reserves are held within the continental United States. Perhaps more than any other country, the US gold reserves create intrigue and controversy due to their claimed size, and also because the US gold stocks have never been physically audited and verified by a entity independent of the US Government. The official gold reserves of the United States of America are owned by the US Government. This can be confirmed in the US Treasury’s monthly report “Status Report of U.S. Government Gold Reserve“ which details the size of these gold reserves and their storage locations. Although the US gold reserves are officially held by the US Department of the Treasury, they are predominantly held in custody by the US Mint on behalf of the US Treasury at a number of US Mint facilities. 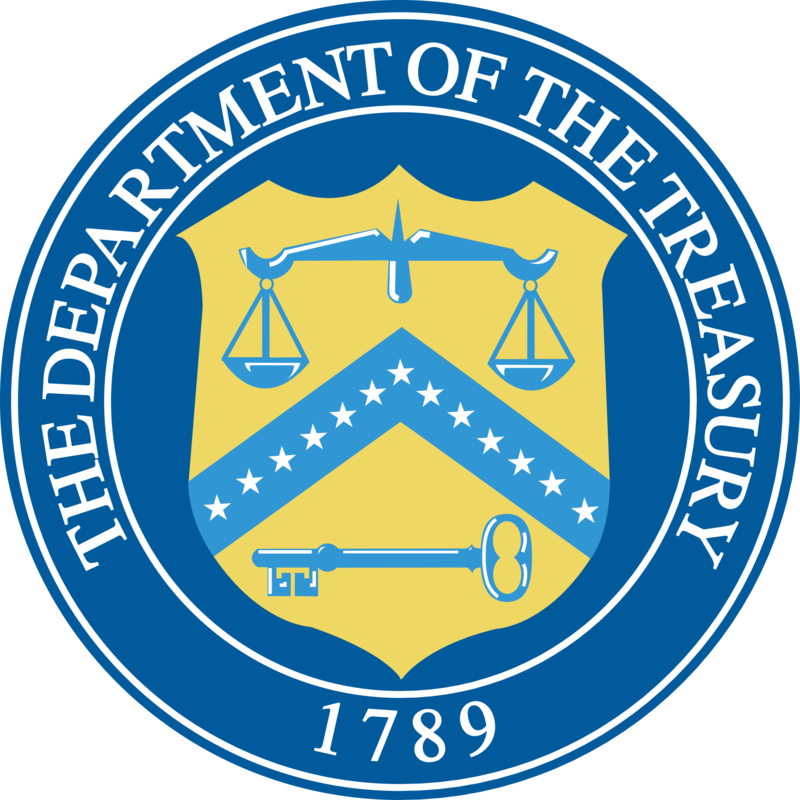 Note that the US Mint is a part of the US Department of the Treasury, and it reports to the Office of the Treasurer which is one of the ‘Offices’ that the Treasury Department is structured into. The Treasurer reports to the Deputy Secretary of the Treasury, who in turn reports to the Secretary of the Treasury, who in turn reports to the US President. The US Treasury, on behalf of the US Government, claims to own 261,498,926.230 fine troy ounces of gold, which is equivalent to 8133.5 tonnes of gold. Of this total, 4582 tonnes of gold are claimed to be stored at the US Mint bullion depository in Fort Knox, Kentucky, 1682 tonnes within the West Point bullion storage facility in New York State, and 1364 tonnes at the US Mint facility in Denver, Colorado. Together these three facilities are claimed to hold 7628 tonnes of US gold, with the balance stored in the vaults of the Federal Reserve Bank of New York in Manhattan (418 tonnes), and as US Mint working stock (87 tonnes). The reason for emphasising that these gold reserves are “claimed” to be stored where the US Treasury says they are stored is that none of the US gold reserves has ever been independently physically audited, so there is no independent proof of the US Treasury’s claims. See audit section below for more details. The US Treasury’s full detailed schedules of gold bars that it claims to hold are available to view and download on the financial services section of the “house.gov” web site. In June 2011, the US House Committee on Financial Services held a hearing entitled “Investigating the Gold: H.R. 1495, the Gold Reserve Transparency Act of 2011 and the Oversight of United States Gold Holdings”. As part of the discussions and submissions for this hearing, the detailed schedules of the US Treasury’s gold bar weight lists were published by the Committee. The Committee also published a summary of the Hearing Based on the weight lists, over 80% of all US official gold holdings fail to satisfy the criteria of London Good Delivery gold bars. Nearly all the gold bars in Fort Knox and Denver are “coin bars”, i.e. they were produced from coin melt, and a lot of the bars at West Point are also of coin melt. In fact, approximately half of the US Treasury’s gold bars at the FRB in New York are coin bars also. In general, a lot of the US Treasury gold comprises a diverse spectrum of weights and a large spectrum of purities, with many bars being low-grade purity. In addition to a substantial number of bars of .900 pure coin melt produced in the 1930s, there are also a large amount of .9167 pure coin melt bars held, probably due to non-US coins being melted by the Mint at some point in history. Unlike most of the world’s central banks that value their official gold reserves at market prices or market-related prices, the US Treasury values its gold reserves at a statutory price of $42.2222 per fine troy ounce of gold. This valuation procedure is defined within 31 US Code § 5116-5117. The statutory price per ounce of $42.2222, or $42 2/9, has been used as the book value calculation price for the US gold reserves since 1973. As of 30 September 2016, the US gold reserves had a book value of just over US$11 billion. See “Status Report of U.S. Government Gold Reserve” reference link. Note that if valued using a market value benchmark (the LBMA Gold Price), the US gold reserves would have been valued at US$345.8 billion as at 30 September 2016. The US gold reserves are also specified at book value in US Reserve Assets Table 3.12 under line item ‘Gold Stock’. The Federal Reserve does not hold any gold, but holds US dollar denominated gold certificates whose value is based on the statutory price of $42.2222 per fine troy ounce. These gold certificates arose from the Gold Reserve Act of 1934 under which the Federal Reserve banks were required to transfer ownership of all of their gold to the US Treasury in exchange for gold certificates. The gold certificates held by the Federal reserve are not redeemable into gold. There have been a series of varied and frequently confusing audits carried out on the US gold reserves over the years, mostly since 1974. At various times, the auditing approaches and practices have changed, and at various time the compartments at the storage facilities where the gold is said to be stored have been sealed or resealed with official joint audit seals. At no time has there ever been a full physical independent audit of all the gold which the US Treasury claims to hold. Hence, there is widespread scepticism as to whether the US Treasury owns all the gold it claims to hold. In 1953, a physical gold audit was undertaken on gold within 3 compartments in Fort Knox, representing 13.6% of the gold claimed to be held in Fort Knox at that time. This very historic audit is not really comparable to any subsequent audit since the US gold reserves were substantially sold off between 1953 and 1971, at which point the US gold reserves were technically put on ice, with the official claim that they have not changed in quantity since then. Between October and November 1974, a physical audit was completed on 21% of the gold held at Fort Knox. This audit was carried out by the General Accounting Office (GAO), in conjunction with auditors from the US Mint, the Bureau of Government Financial Operations (BGFO), US Customs, and the Treasury Department’s Office of Audit. Following this audit, the GAO issued a report recommending that there should be continuing audits of the US Treasury gold that was under custody of the Mint. In June 1975, the Secretary of the Treasury ordered a continuing audit of all US Government-owned gold, with a milestone of auditing 10% of US gold every year. A committee comprising the US Mint, the US Bureau of Government Financial Operations (BGFO) and the Federal Reserve Bank of New York were appointed to carry out these continuing audits. Continuing audits were undertaken between 1975 and 1986, after which the Treasury claimed that 97% of all US gold had now been audited. Within this time period, the following points are notable. By September 1982, the continuing audit program had audited 100% of the gold stored at Fort Knox. By September 1984, the continuing audit program had audited 99.9% of the gold stored at the Denver Mint. However in 1983, the Department of Treasury’s Office of the Inspector General (OIG) took over responsibility for the BGFO and the US Mint, at which point it issued revised audit guidelines which led to over 1,700 tonnes at Fort Knox and Denver being re-audited between July 1983 and July 1986. From 1986 to 1992, the US Mint undertook audits of compartments that hadn’t been placed under official joint seal by the continuing audits committee. In 1993 the OIG took over the annual audits of US Mint held gold. By 2008, all the gold held by the Mint had been placed under official seal. In 2010, the OIG claims to have renewed the joint seals on all 42 gold storage compartments at the US Mint storage facilities.